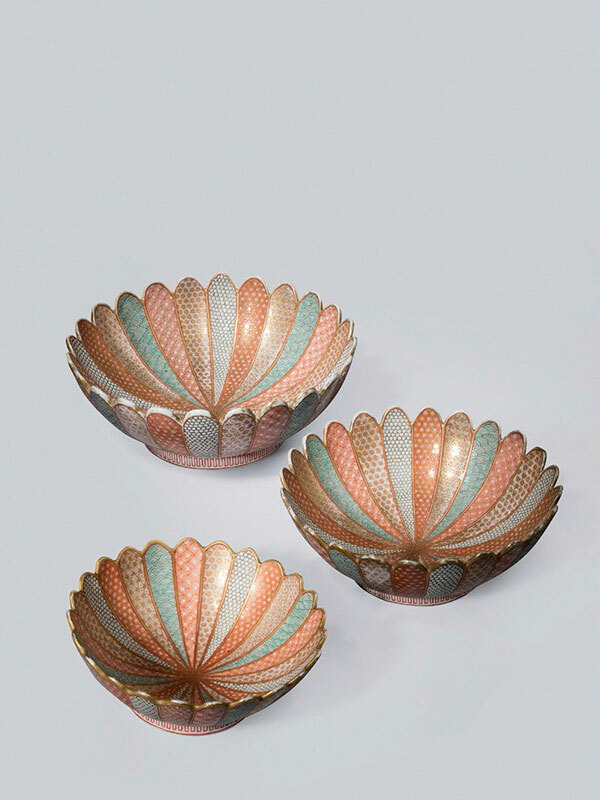 A set of three graduated porcelain bowls, each of chrysanthemum shape with petalled sides, the interior and exterior enamelled with bands of different diaper pattern and waves, all in colours on a white ground. 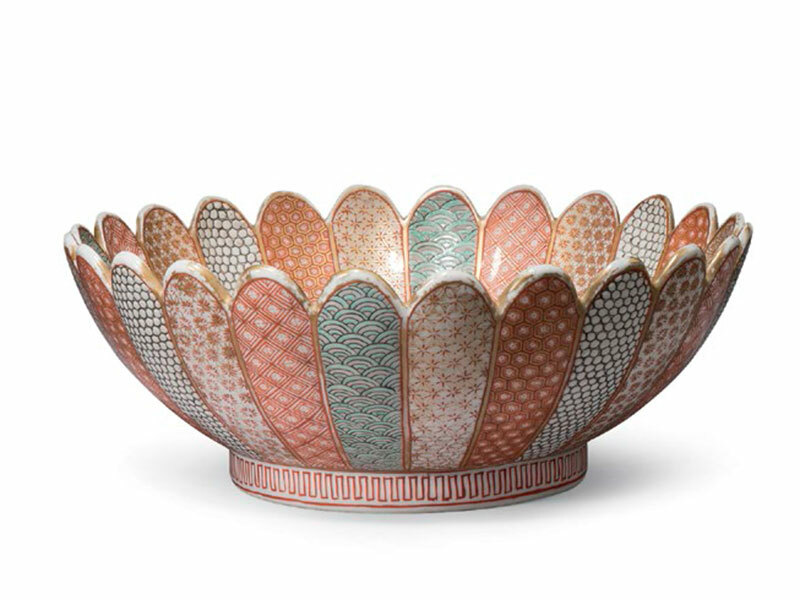 The top edge of each bowl is outlined in gold, while a key fret edge is painted in iron red on the outside of each foot ring. The recessed bases are glazed in white.